When the battery powering a smoke detector begins to go bad, it emits a periodic "chirp" to alert the home's occupant to change the battery. But a survey commissioned by a smoke detector manufacturer suggests that sound is a big safety problem. The survey, on behalf of Kidde, found that respondents have left their alarm without a working battery. According to the survey results, homeowners’ primary frustration is timing: almost half of those who have heard a low battery chirp said it sounded in the middle of the night. Yet, homeowners don’t automatically replace the battery. After hearing a low battery chirp, 33 percent of homeowners might wait a day or more to replace it, according to the survey. Another seven percent say they’d be more likely to disconnect the battery than insert a new one. Of course, that defeats the whole purpose of the warning sound. And consumers who don't quickly replace batteries may be literally playing with fire. 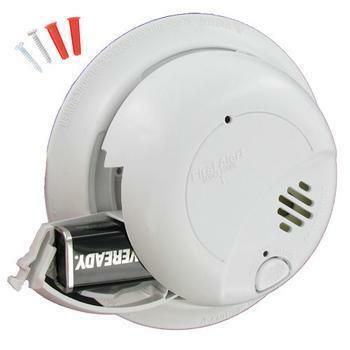 The National Fire Protection Association (NFPA) cites missing or disconnected batteries as the main reason smoke alarms fail to operate in residential fires. Two–thirds of all home fire deaths occur in homes with either no smoke alarm or no working alarm. Recently, the National Association of State Fire Marshals (NASFM) issued a recommendation for smoke alarms to be powered by 10–year, sealed–in batteries. NASFM’s support of a long–life battery follows similar recommendations from NFPA and the Federal Emergency Management Agency. Failing that, consumers should keep a supply of nine-volt batteries on hand and immediately replace a weak battery as soon as they hear the chirp.